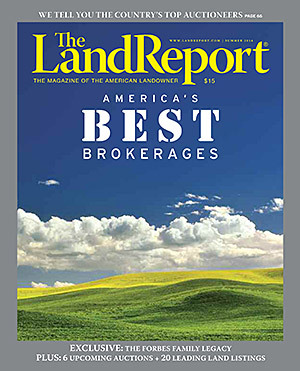 The Land Report featured America’s Best Brokerages in its summer issue, highlighting more than 100 real estate firms across the country that specialize in timberland, productive farmland, income-producing properties, and recreational retreats. A sharp rise in revenues demonstrates the continued appeal of land as an investment class. “The market is very strong and improving in most areas of the country,” says Dax Hayden of Hayden Outdoors. “The market has picked up momentum. Most transactions are heavy on cash with a smaller percentage of buyers assuming debt,” says Jason Pettigrew of No Fences Land Company. 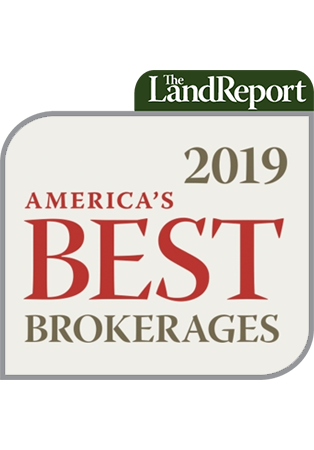 “Last year was the strongest our network has experienced in its 10-year history,” says Chris Hawley of Mossy Oak Properties. American Timberlands Fund II, a Southeastern-based timberland investment fund managed by American Timberlands Company, achieved a 24.21 percent return for the 2013 fiscal year, according to Tom Rowland of American Timberlands Company. This return far exceeded the industry index of 9.35%. “High-quality farmland sells well. There is less farmland for sale now than the past couple of years,” says Randy Hertz of Hertz Real Estate Services.